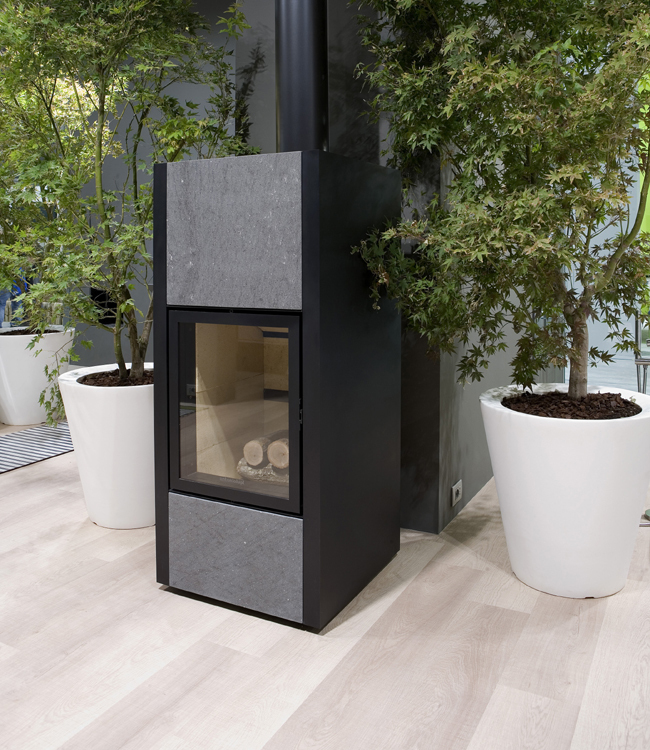 Kaliente is a wood burning stove with a sealed-chamber and balanced flow of heat. Made of steel and covered in Basalt stone or any material that is fireproof (plaster, stonework, etc.). 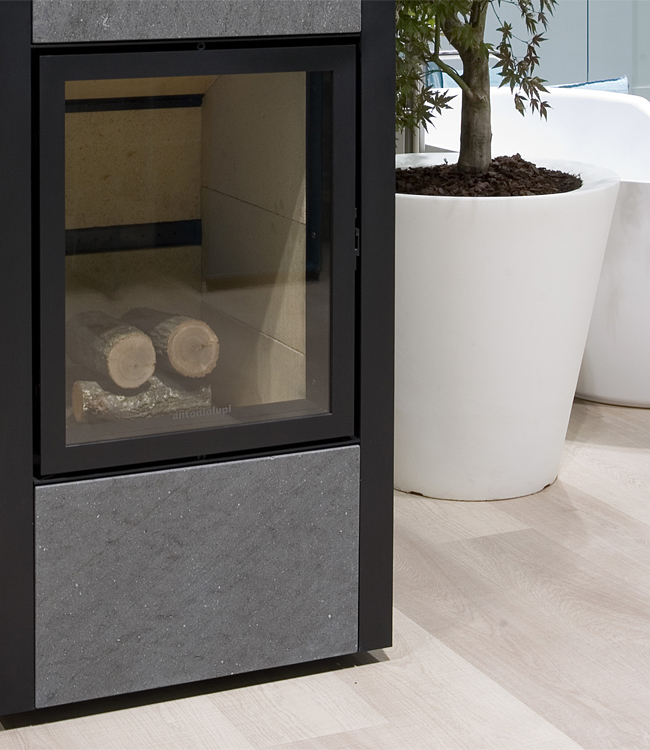 It is available in two different versions: built-in or freestanding. Since 2009 when it was first introduced by antoniolupi, Fuoco has been a design in which the company has invested significant time and resources. It is the element that more than any other has marked the evolution of man, it has inspired myths and legends, creating charm and attraction around it. antoniolupi interprets the energy of fire, dedicating to it a design that is able to enhance its peculiarities and to develop its essential and evocative forms.